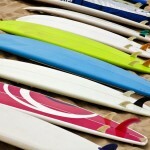 With spring and summer around the corner, you may be in the market for some new gear to play in the water! There are many wetsuits out there that will help keep you warm in even the chilliest of water. Today, we’ll take a look at some terrific suits that will be perfect for that dive, surf session, triathlon competitions, or just the recreational swim. Let’s take a look at the best wetsuits for men, women, and youth and get in the water! Are you ready to do some open water swimming? Then, you’ll be looking for a thinner wetsuit that will provide a full range of motion, still keep you warm, and be durable. Here are some terrific options for men and women. Men’s – TYR Sport Men’s Hurricane Wetsuit Category 1 – This wetsuit is constructed from neoprene, has form fitting cuffs around the ankles and wrists, and has speed wrap paneling. This is a perfect triathlon suit at a reasonable cost. Women’s – TYR Women’s Hurricane Wetsuit Category 1 – Similar to the men’s version in that it is constructed from neoprene, has form fit around the wrists and ankles, and the speed wrap paneling. However, the shape is form fitting for women giving it a better fit that will increase comfort and warmth! Summer’s coming and so is surf season. If you’re ready to grab you board and hit the waves, you’ll want to extend that session by keeping toasty. Here’s some great options to help keep you warm, provide good flexibility, and at a reasonable price. Men’s – O’Neill Wetsuits Men’s Heat 3Q-Zip 4/3mm Fluid Seam Weld Full Suit – The Heat is made of 4/3mm neoprene and features Ultra Flex DS to provide better fit and flexibility, has a seamless paddle zone to avoid tears in the area that you will need the most movement, and is seam welded to help block out water from coming inside of the suit. 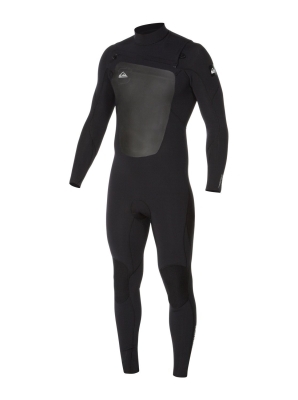 This wetsuit also has a flex firewall on the chest and a double seal neck cuff to provide extra warmth. The Heat also has knee pads and is treated for UV protection to keep your suit durable. 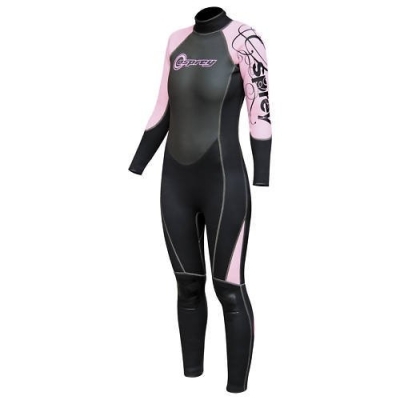 Women’s – 4/3mm Women’s Roxy SYNCRO Full Wetsuit – The SYNCRO is a great suit for waters 55 degrees and up. Made from 100% superstretch neoprene that provides for maximum flexibility in the water. This suit also features sealed seams to help keep the water out of the suit, a poly fleeced-lined chest panel to keep extra warm, and knee pads to provide extra durability to the suit. Additionally, the suit has a water resistant full back zipper with anti-flush gasket to keep you drier and warmer! The SYNCRO is Roxy’s best selling wetsuit and comes with a 1 year warranty. 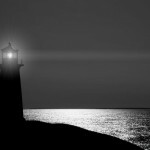 Heading for some time below the surface? 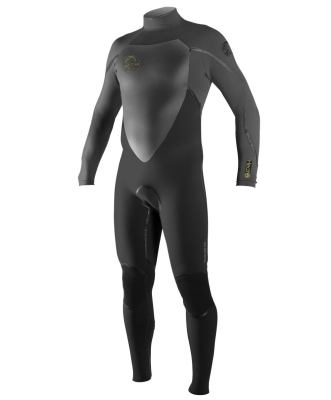 Then you’ll surely like a wetsuit that is a little thicker to provide extra warmth as you head down for some scuba time. Here’s a couple of great options for men and women to help you focus on the sites under the water rather than being cold! 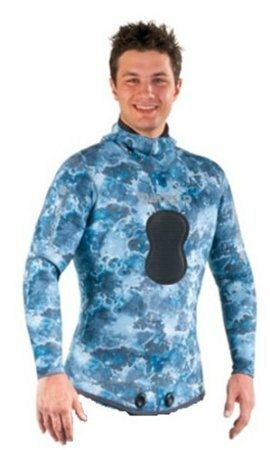 Men’s – ScubaPro 7/5mm Everflex Steamers Super-Stretch Wetsuit – One of the top brands in Scuba puts out an unbelievably warm and surprisingly flexible wetsuit in this model. Made with 4-way Everflex neoprene, this suit will stretch out 200% more than an average wetsuit! Spinepad helps keep the cold water out of the suit and it comes with Tatex knee pads for resistance to abrasions. A heavy duty metal zipper also helps with durability. This awesome suit also features I-Safe patch that allows divers to thread their wrist computers through it providing extra protection to the instrument. Comes in black/grey color. Women’s – Xcel Women’s Dive ThermoFlex 7/6mm Fullsuit – This women’s dive wetsuit is made from compression resistant nylon II neoprene that is tough and built for durability. This is a suit for coldwater divers! Has an easy back zipper entry, an adjustable Velcro wrap collar, and is lined with GlideSkin for inside comfort. Xcel’s trademarked DRYLOCK wrist seals are engineered to provide maximum grip and prevent water from flushing your suit. Glued and blindstitched seams help prevent water from coming in the suit and provide extra warmth. Pressure points are reinforced for extra durability. Sometimes you want just a little bit of extra warmth, but not enough to need a full wetsuit. Shorty’s are the perfect option and there are many great choices when it’s just not cold enough for a full-suit. Men’s – Quiksilver Men’s Syncro 2mm SSL Springsuit – 100% hyperflex 3.0 neoprene construction. This suit features a Vaporstretch mesh chest and back panel, hydro wrap adjustable neck closure, and Flatlock seams to keep the water out. If you’re looking to get rid of the chill, this is a perfect suit for you. Women’s – 2mm Women’s Billabong Foil Shorty Springsuit – This suit is made with lycra construction and Billabong’s Airlite Superflex Neoprene, made of 50% stretch material, has flat lock seams, and great upper body flexibility! The Foil comes with a 12 month warranty. Water sports aren’t just for adults, they’re for the whole family! If you need to get some suits for the kids, there are some great suits available to keep them warm too! Youth Shorty – If you don’t need a full wetsuit and are looking to keep the chill out, the O’neill Reactor Hybrid Neoprene/Lycra Shorty Kid’s Wetsuit is a winner. This suit is constructed with 2mm fluid foam neoprene and 8oz lycra at the neck, shoulders, arms, and sides. It also features an extended back zipper for easy on and off. This wetsuit form fits to provide great comfort and help keep your child warm. It also provides 100% UV protection as well. The Reactor comes in a variety of colors and sizes. Youth Full – OSX Osprey Full Wetsuit Child’s Wetsuit – The OSX is a great summer suit for the kids. 3/2.5mm neoprene construction that features a windproof rubber chest panel, anti-rub openings, anti-rub neck collar, and long pull zipper cord for easy removal. This is a terrific beginner suit that comes in four colors. Triathlon competition requires a suit that is high performance, can give great flexibility, and will also keep you warm while competing. Here are some of the top choices for men, women, and youth tri-athletes. 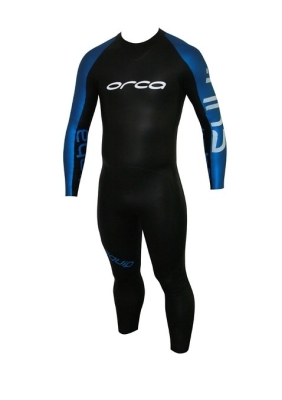 Men’s – Orca Men’s Equip Wetsuit – The Equip is designed for transition from pool to open water. This suit provides high flexibility, performance, and comfort utilizing 2-5mm panels of SCS-coated Yamamoto #39 cell neoprene. The lightweight panels have been shaped to provide a full range of motion. The Equip also features 3-5mm panels of SmoothSkin neoprene for buoyancy in the back. This high performer also has the Hydrostroke Forearm Panel that is a distinctive silicon print. It catches water through the pull phase of the stroke, thereby increasing power! This suit comes in multiple sizes. Women’s – 5/3mm NeoSport Women’s Triathlon Sprint Full Tri Suit Wetsuit – Made from exclusive 5/3mm ultra light weight speed skin neoprene. 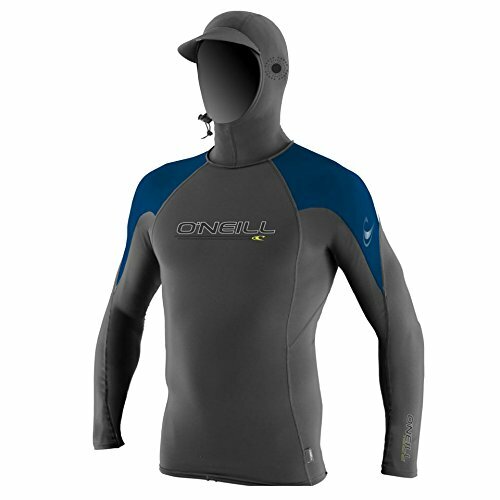 This suit also features an easy in and out zipper, an adjustable collar, and the speed skin on the chest provides ideal positioning and less surface resistance than standard neoprene. The seams are stitched and glued to provide extra warmth and durability. The NRG suit is NeoSport’s most advanced performance suit. 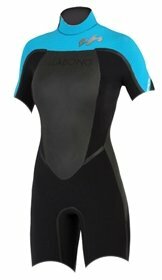 Youth – Blue Seventy Youth Torpedo Wetsuit – This is a triathlon suit made just for children in the 8 to 12 year old age group. This suit is specifically designed to provide extra buoyancy, visual safety, and provide against protection from the elements. While the uses mentioned in the article make up the majority of wetsuits on the market, there are some that fit a different mold and are considered specialty wetsuits. From free-diving to hunting, here are some of the top choices on the market for the best wetsuits. Freediving – Mares Pure Instinct Neoprene Blue Camo 3.0mm Jacket and Pants Combo – This wetsuit is a blue camouflage wetsuit that is perfect for the free-dive hunter! This has an internal open-cell neoprene construction with an outer camouflage design that scrambles the image. The Mares camouflage is printed on colored lining for amazing results and imagery. This gradient in shades will make it much easier to sneak up on your prey during the hunt! The neoprene is extremely soft, compression resistant, and provides great heat and comfort. Freediving – Cressi 3.5 Technica Camouflage Wetsuit – This suit features a high tech camouflage mimetic design. The suit also has a built-in hood, a chest loading gun pad, farmer John style trousers, and reinforcement on chest, knee, and elbow areas of the suit. The special computer printing technology gives a unique camouflage pattern that makes the diver nearly invisible. A great suit for the hunt, this one has glued and stitched seems for extra warmth and durability. Men’s Paddling – Kokatat NeoZip Long John Wetsuit – This wetsuit has the paddler in mind. It features 3mm 2-sided neoprene, 2 way nylon front entry zipper with full length flap, seamless arm holes, non-skid knee reinforcement, super stretch neoprene ankles, and shoulder panels that provide maximum flexibility for paddling. This wetsuit is what you would come to expect in a top-line kayaking suit from Kokatat. Women’s Paddling – Kokatat NeoZip Long Jane Wetsuit – The NeoZip for women features are the same great benefits of the men’s suit, but is shaped with the woman paddler in mind. In addition, there is a second women’s specific relief zipper in this suit. Designed to keep you paddling in comfort. Maybe you’re a true waterman or waterwoman and don’t want an arsenal of wetsuits for the different activities that you do. Here’s some options that will give you the best overall wetsuit for when you just need to have one suit to do it all. 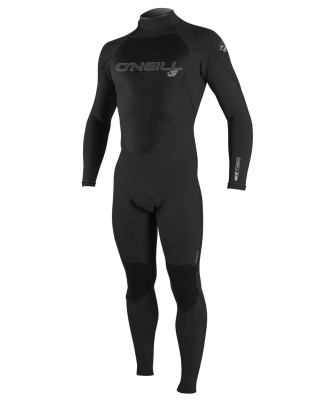 Men’s – O’Neill 4.5/3.5mm Pyschofreak Full Wetsuit – This amazing suit has full Technobutter-Air neoprene construction, rated for waters 48 degrees and up, seams are sealed and liquid taped, and has poly fleece lining. This suit is very light, warm, and stretchy! The seam welds are 60% smaller than normal liquid tape welds meaning that there is less weight and more stretch at the seams providing a lot of flexibility. The Pyschofreak also has a Z.E.N. zip entry that blocks water that may trickle through to the zipper. Also features high grade knee pads for durability and comes with a 1 year warranty. If you’re looking for maximum flexibility without sacrificing warmth, this is the suit for you! 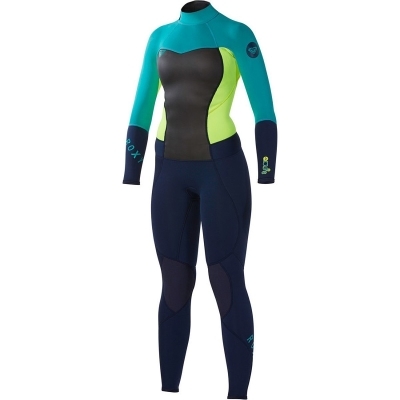 Women’s – O’Neill Superfreak 5/4 Full Wetsuit – Made from 60% FluidFlex and 40% UltraFlex DS. This suit also features Krypto kneepads for durability, seamless paddlezones, double super seal neck, a chest firewall for extra warmth, and the seams are glued and blindstitched to help keep the water out. The Superfreak is here to conquer the coldwater! Just like all the variety of water sports out there that are available for you to enjoy, there are quite a variety of wetsuits to cover the different types of outdoor water activity from surfing, diving, swimming, competing in triathlons, kayaking, and hunting. These wetsuits are some of the best wetsuits available in the market today that will help get you out on the water in comfort and will keep you warm! Summer is coming soon, so take a look at what wetsuit is the best for you and get out there to enjoy the water with the whole family!